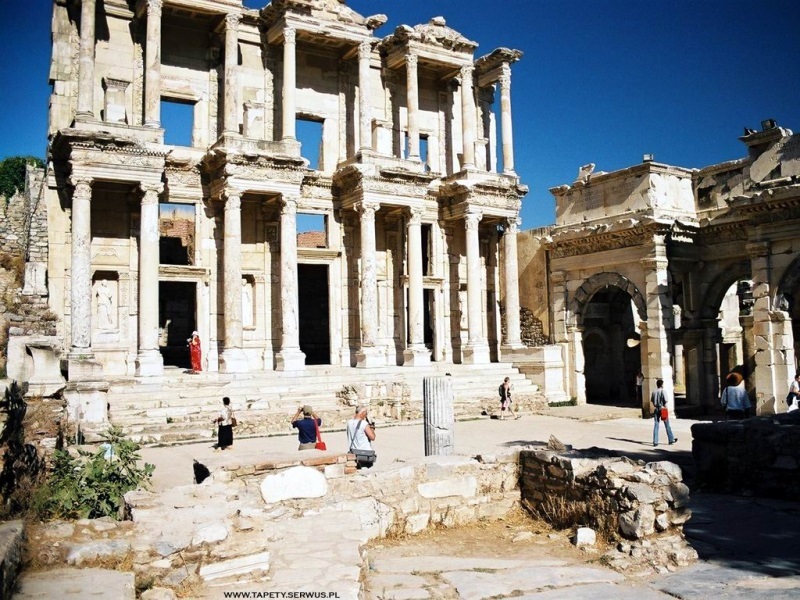 Tour start from the port of Kusadasi proceed to the House of the Virgin Mary includes scenic views of the Byzantine fortress in Selcuk and the Temple of Artemis. A long and winding road affords wonderful views of the valley en route to the Shrine of St. Mary. The diminutive house, beautifully situated in the Solmissos Mountains, is considered by the Vatican to be the final resting place of the Virgin Mary. Your tour continues to ancient Ephesus, where you'll pass through the arched Magnesia Gate and begin a slow, downhill walk to the ruins of the Roman provincial capital. Your knowledgeable guide will highlight such sights as the beautifully preserved Temple of Hadrian, the magnificent Trajan Fountain, the Odeon Theater, once used for both political and entertainment purposes, and the beautiful Celsus Library with its imposing façade and two story Corinthian-style columns. The dramatic Great Theater is one of the few structures still used today. It seats twenty-five thousand and, although it was once an arena for gladiator games, it is now home to annual spring festivals.